The Rifftides staff wishes you a Merry Christmas, a splendid holiday season and happy listening. 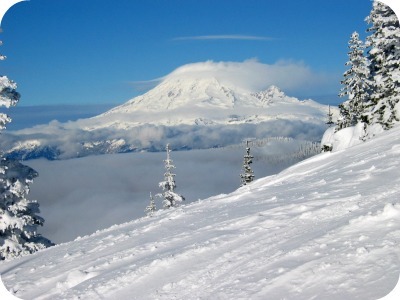 For good measure, here is a favorite winter scene, Mount Rainier, 90 miles from Rifftides World Headquarters. Thanks for the polyglot Christmas Cheers, Doug. Nice to see Mt. Rainier, Doug. Looked at it daily — at least when one could see it — 1953-1960, while attending UW for B.A. and M.A. Happy Holiday to you and family. On the occasion of the coming New Year let me express my most sincere admiration for the blog you host. Your essays are informative, witty and comprehensive without being verbose and, which is not less important, always followed by multiple comments that are more often than not as interesting and informative. 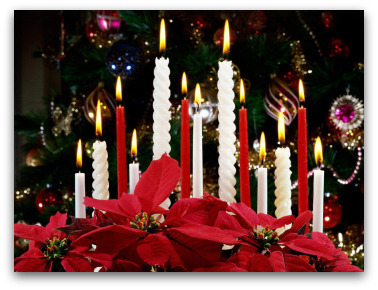 My admiration and New Year greetings to the readers of the blog. Same to you,Doug. This forum is invaluable to me and I suspect to many, many others. I’ve bought a lot of CD’s/LP’s which is directly attributable to the people on this list making observations about certain tunes and favourite sessions etc. Just when you think you’ve heard it all…it’s time to hit Rifftides and see just how wrong one person can be..
Merry Christmas, Happy New Year…my New Year’s resolution is to hit a jazz club in NYC this year. Wish me luck.. Thanks for the view of Mount Rainier, Doug. I grew up in Kirkland, where we could see that mountain our our bedroom window and the Olympics out our living room window (except when it rained). I have vacation photos of myself as a teenager, feeding the squirrels at the lodge on Mount Rainier. I hope I get to see that lovely country again before I get much older.